This year's Research Rocket will showcase how our early career researchers are making a difference when it comes to creating healthy futures. 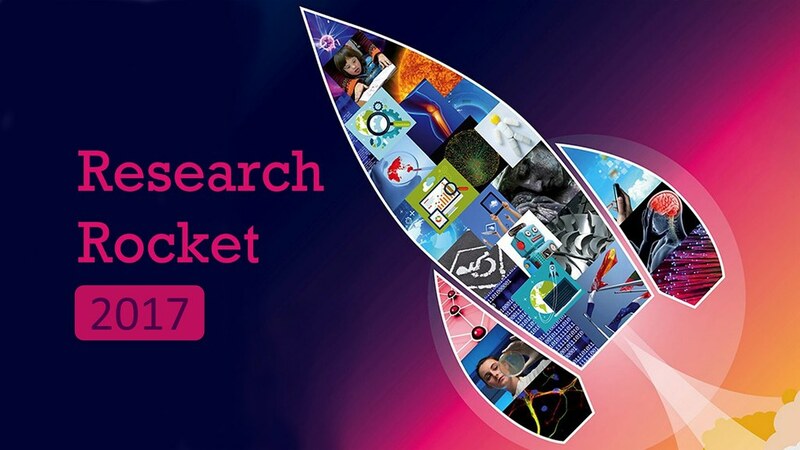 Come to this year's Research Rocket event taking place on Thursday 2 March. Come along to this year’s Research Rocket to find out how our doctoral students and early career researchers are making a difference when it comes to creating healthy futures. Over a series of 12 fast-paced, six-minute presentations, researchers and research students from each of our Faculties and the School of Management will explain what challenge their research seeks to address, their motivations for doing it and where they each are in their research journey. This year’s Research Rocket is designed to serve as both a showcase of our research and a welcome to the University’s research community for new postgraduate researchers. In order to make this event accessible to our researchers not on campus, including those abroad, the event will also be livestreamed. You can register for the livestream by selecting the "Watch online" ticket. A link will be sent via email closer to the date. Pro-Vice-Chancellor (Research), Professor Jonathan Knight, who will Chair the event, said: “There is a real sense of energy among our early career researcher community. This year’s Research Rocket event will be a fantastic opportunity to shine a spotlight on the kind of projects they are involved in and how they are making a difference. “The great strength of Bath is our close-knit campus community and the ways in which our researchers from across disciplines can and do work together. This event is as much a showcase of the innovative projects our early career researcher community are involved in, as is it a chance to come together to look for new collaborative opportunities. A full list of titles for talks will be released in advance of the event. The event will be compered by Dr Polly McGuigan from the Department for Health.